“It’s always a good time to buy!” — Ah, the old adage that Realtors will always say. Imagine over Thanksgiving long weekend a family member asking the Realtor in the family, “Is it a good time to buy right now?“. Nine out of ten times, I bet you the Realtor will say, “Yes, its always a good time to buy.” Chances are, that Realtor would also very likely have what’s known as “commission breath” (I had a good chuckle when I heard that term being tossed around!). Thankfully, I did not get asked that question over the long weekend. Despite the mix of headlines that we have been seeing from the media combined with everyone’s incredibly strong opinion on the real estate market, I’ll answer that question for you (truthfully) in today’s Insight Article. Fully Loaded – The question “Is it a good time to buy?” seems like a very loaded question at first, and also way too broad generally speaking. Well before I start working with a client, I always try to figure out what exactly it is that they are trying to accomplish and achieve with real estate – be it investing, upsizing or downsizing, and specifically, why they are thinking about that specific route. It’s All About YOU! You’d be surprised to know (or maybe not!) that most Realtors will start off by telling you about how great the market is right now and regardless of what it is, you should get your feet wet immediately. I’m 100% against this approach. Whether or not you should buy really depends on your own personal situation first and foremost. If you are not in a position to buy, then whether the market is doing well is an irrelevant point. If you are truly ready to buy, then the next step is to analyze if there are any good opportunities available on the market (that is, opportunities that are relevant and work for you). *If you don’t exactly fall into one of the above categories, and you want a more personalized assessment of your situation, please send an email over to Zhen@PrimePropertiesTO.com and we’ll be more than happy to provide you with an analysis of your situation! “Smart-Sizers” – Is It a Good Time to Buy? Sitting on Equity – Allow me to explain: Most smart-sizers are baby boomers who bought their detached 40-foot+ lot house more than 20 years ago for $250,000 to $400,000 (seeing these numbers today are just absurd!). 90% of the time, their house is worth more than $1,000,000 AND that house has ZERO mortgage on it. So most Realtors will tell the people in this category to sell their house, buy a condo and call it a day (that would net them 2 deals). That is Absolutely WRONG! While the lifestyle change to a condo is great, the condo that these people would want to buy (i.e., 800-900 square feet 2-bedroom, 2-washroom with 1 parking spot condo) doesn’t exactly exist at a very affordable price range right now relative to what their house was purchased for back in the days. Most smart-sizers in this situation want to use the appreciation and equity from their home to have a comfortable retirement. Selling your million dollar house to buy an $800,000 condo with approximately $600/month condo fees doesn’t exactly leave you in the best financial situation for retirement. By taking this approach, you are replacing and/or supplementing part of your income in preparation for when you retire and potentially have another asset to either move into or provide you with more liquidity to retire and smart-size. 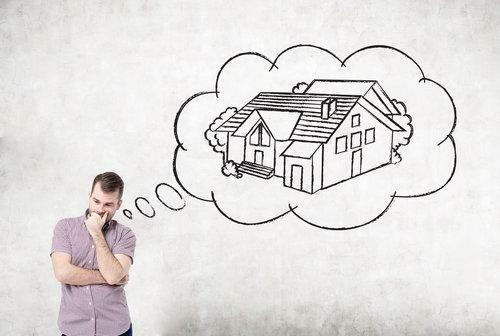 “First-time Home Buyers” – Is It a Good Time to Buy? If you are a first-time home buyer, this is a very, very exciting time for you. At the same time though, it could also be quite scary and tumultuous. You’re about to be a homeowner, which in and of itself is very exciting, but you’re also about to carry a load of debt! If You Have Downpayment Assistance – Awesome, this will make it a whole lot easier for you financially. The answer is yes, BUY! This is a GREAT time for you to buy, as long as you can carry the subsequent mortgage and expenses with your current income. I would suggest to use all of your downpayment funds – whether that is a larger dream home if you’re about to have kids or get married, or buy 2 properties (a smaller one for yourself and an investment property). Deploy all of those downpayment funds wisely! The reason for this is simple – property ownership is going to get SO much more difficult in the future. If you have been gifted downpayment funds and you also qualify to buy one or two properties, do it now! Obviously, this is dependent on budget and what you are ultimately looking for. Give us a call and we can help you navigate through the market. If You are Funding the Purchase by Yourself – Congratulations! Even though you may not have downpayment assistance, you have saved up a lot of money in order to set yourself up well to get your first property. You should definitely be buying. Do the math on how much monthly mortgage payment and home carrying costs you are comfortable with, and then let’s go house hunting! Even if you do not have the full 20% down payment, you should still consider buying. I say this only because in most cases, the price increases in the entry-level real estate market will outpace the speed at which you can save up the last bit of that 20% downpayment. In both of the first-time home buyer scenarios above, paying down a mortgage is simply just a financially better and more responsible thing to do than paying rent (rents are going up really fast). Additionally, it’ll help build up your real estate portfolio faster . The Wrap – Read Part 2 of this week’s Insight Article to find out whether it is a good time to buy for Investors and Upsizers. P.S., Quite often, pre-construction condos do not work well for first-time home buyers. If you’re a first-time home buyer and you are considering the pre-construction condo strategy, do give me a call first to hear why it may not be the most ideal purchase for you.